Changing TilesManager to make it able to calculate number of tiles on both X and Y any time and not just in the constructor. Creating mapview-attr.xml : a list of attributes we want our mapView to support in XML. 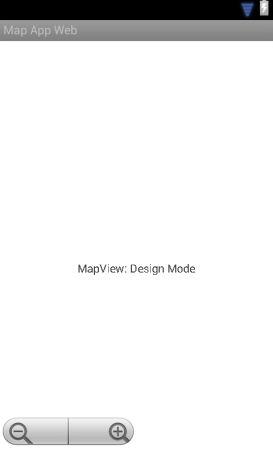 Modifying MapView class to make it accept being created from XML. Creating main.xml, the file that contains our layout. Modifying the MapAppActivity to inflate layout using the usual way of setContentView(R.layout.X). So let’s start with the very simple step of changing the TilesManager class. If you remember from the previous tutorials : this simply calculates how many tiles can fit in the view in both X and Y, we just removed this calculation from the constructor to make it available anytime. and that’s it for this step, we’ll never need to modify this class again :). So if you look at the file above you can see that we defined two attributes, one of them is an integer called zoomLevel and the other one is a reference to a resource that will be used later to get a drawable. About explaining the structure of the file : there’s a little documentation on the matter on the Android developers guide and I highly recommend reading it since I learned the stuff here from there :). Anyway, in general it’s obvious what the file above means. So this step is the longest, it’s not hard though. We will have to make sure that the class will still support creating the view outside of XML. We also need to add a function to assign a TilesProvider to the map and we need to make sure nothing is using the field tileProvider if it’s null, more on that will come later. This method is used to determine the dimensions of the view. As you can see this constructor takes the usual Context object and another parameter attrs which will hold the attributes set in the XML, we start by calling the super constructor and then assign -1 to width\height so that we know what to call in the overriden method onMeasure. 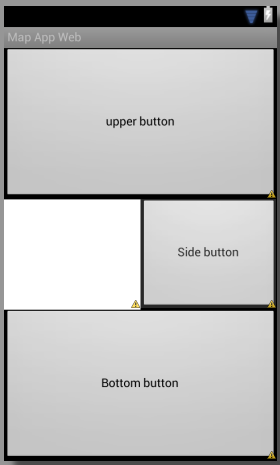 To make sure our view can be rendered in the graphical layout designer we need to make sure no exceptions are thrown in the constructor or in the method onDraw (because they’ll be called in the designer), for this purpose we use the method View.isInEditMode() which returns true if the view is being displayed in the UI designer. In line 11 we retrieve the attributes passed in attr as a TypedArray, we then use this array to get out attributes by passing an index and a default value for getInt, and passing only an index to getDrawable. The index R.styleable.MapView_zoomLevel is a combination of two things: the name of the styleable we declared (MapView in our case) and the name of the attribute itself with an underscore between them. For the position marker we call getDrawable with the right index and then get a bitmap out of it. We finally recycle the typed array (necessary step). Now that we have the zoom level we can create the tileManager and assign the zoomLevel to it, you might notice that we’re passing viewWidth, viewHeight to the tileManager when they are still equal to -1, that won’t be a problem since when we later get the real view dimensions we can simply call tileManager.setDimensions(viewWidth, viewHeight) which we will do next. Since we only have a tileManager at run time (not when designing the UI) we use the help of isInEditMode(), so anyway now both getWidth() and getHeight() of the view will return correct values and we can use them for the tileManager and for the view itself. So that’s almost it for this class, we just need to make a few more checks to avoid exceptions and add a method to set the tileProvider at run time. // Tell tiles provider what tiles we need and which zoom level. // The tiles will be stored inside the tilesProvider. 1- If the view is in design mode then clear it to white and draw some text for the user to know that your view is working. 2- If the view is in running mode and no tileProvider is present just display a text about the issue and exit the draw method. We’re finally done with this class 😀 , the rest are just simple steps. com.mapapp.mapappweb is our package name. In line 8 we used the full name of the class (It is the fully qualified name of the custom view class). In lines 12 and 13 we provided the values for the custom attributes we defined earlier. // If a location was saved while pausing the app then use it. And that’s it for this tutorial 😀 hopefully now the app will run like before and the zoom controls will work too. You can also specify values for the width\height of the view in XML and it works. One thing worth mentioning : if the MapView becomes small it might not render the correct number of tiles due to the calculation done in the TilesManager, to fix this just add one or two to both tileCountX, tileCountY in TilesManager.setDimensions. I hope you followed the tutorial and it worked 😀 If you have any improvements or questions please use the comments below 😀 . I think there’s a mistake on instruction number 2. There’s no code in that part. And instruction number 4 too. I assume you’re replying to my comment here on another post :), even as an admin and owner of this blog I can’t move comments from one post to another :(. Anyway, I double checked the code and the methods fetchTiles and drawTiles both exist. Just to make sure we are on the same page : the steps I provided are to be applied on the code of MapApp not FuchsMaps, the steps can be applied on the project found here (MapApp_Final Source Code.zip). Can you please make sure you downloaded the right project? FuchsMaps is slightly different from MapApp. I would appreciate it if you reply to the main thread :). I’d like to ask sincerely apologize about what I’m doing in your blog. Please, you can delete my comments in this post. They are irrelevant and, as I said before, it was a mistake of my interpretation. I’d like to thank you so much! This days your blog is saving me! Congratulations for the content and thanks for so many help and time dedicated to answer the questions we make. Opppppps! Sorry for making this mistake! now I understand what you meant! Wordpress sometimes messes with the code if it contains xml tags (that’s one of the reasons I keep a backup copy of every post as plain HTML). Thank you for notifying me I really appreciate it. It’s you guys who keep me going, I appreciate your questions and opinions :). Hello! This is a really good project and I wish I could use this code. But I can’t, because if I try make a new activity from the MapAppActivity the program always crash. Can you help me to solve this problem? Thanks :), what exception is shown in the LogCat? 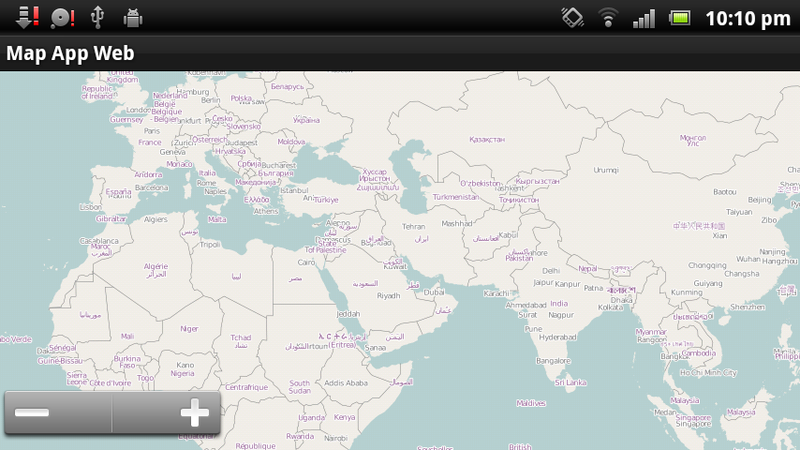 Hello Fuchs, i m thankful to you for such a nice app with source code available for other user. God bless u. Anyways, my question is, i m trying to make map view dimension set adjust automatically according to loaded image file (sqlitedb file). I tried reprogrammed mapView but all effort were ineffective. Therefore, please help how to get loaded map dimension and zoom level and adjust this application view, so user only see available zoom level and he cannot pan outside of map dimension. These are the main guidelines, sorry for not having enough time to provide a full implementation. I hope this works for you, let me know if you find any trouble :). 2. also how can i configure ur application that when map is loaded from DataBase user can only pan with the dimension of loaded map. Thanks alot i figured out how to get max and min zoom level from your previous post with help of query for z column in database. however, for width and height problem. How to calculate total width and height when where i should make it fix in MapView. It seems that the titles are being loaded from database in a for loop in MapView.java onDraw function. Hi Saifee, since all tiles (bitmaps\images) in the database have the same dimensions we only need to get one tile to get it’s dimensions. If possible can u guided me that instead of fixing the view to loaded image file. On loading the map file from folder. The view automatically seeks its position to loaded image coordinates and user don’t need to drag anymore. Because if image file is for very small area and fixing the zoom levels according to available zoom level in image file. Then i m unable to guess either the image is on left, top, bottom or right side.